There are different types of dementia and most are associated with diseases that affect the brain. For example Alzheimer’s Disease and disease of our blood vessels that can cause strokes or temporary disruption of blood flow to the brain (known as mini-strokes.) Our chances of getting dementia increase as we get older because these and other relevant brain diseases are more common in older people. At the moment about 1 in 3 people over the age of 65 will get dementia. However because we are all living longer this figure is expected to rise. So dementia is something that warrants a lot of scientific attention and it’s good that funding is starting to go in that direction. 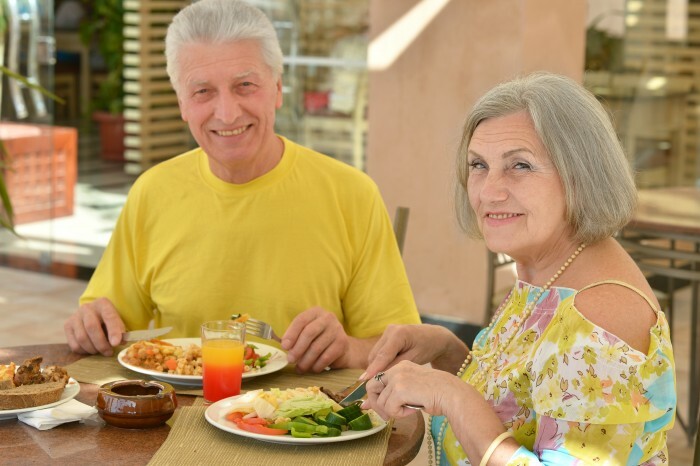 Many dietary interventions have been proposed for the prevention and treatment of dementia. Just this month there were headlines in UK newspapers about the role of mushrooms in preventing Alzheimer’s. However the work done so far simply suggests a possible role for mushrooms or mushroom extract in preventing dementia. Furthermore most of the research has been in animals not humans. It’s exciting when scientists discover something that warrants further investigation but there’s a long way to go. So what do we know about diet and dementia? Here are some facts about a few other suggestions you might find in books or online. These have been proposed for both the prevention of Alzheimer’s and for slowing its progression. Clinical trials do not support this and taking more than 400 international units or 268mg/day of vitamin E as a supplement can be dangerous. Most of us get plenty of vitamin E from our diets anyway. Nuts, seeds, green leafy vegetables and avocado are good sources. Taking vitamin E supplements to prevent or treat dementia is not an approach I recommend. Evidence is inconsistent both in relation to the development of dementia and the rate of cognitive decline in those with dementia. This herbal supplement can cause bleeding in people taking warfarin or aspirin and can raise blood pressure when combined with some diuretic medicines from the thiazide group. There are even reports of coma in people who used the supplement when they were taking tradazone, which is used for the treatment of depression. Given that there is no convincing evidence that it works I would just save your money and avoid any risk. A potential role has been proposed for B1, B6, B12 and folate in relation to cognitive function and mood. Once again this theory is not backed up by clinical trials. B vitamins are water-soluble. This means that if you take supplements that you don’t need you will just be making expensive urine. Most of us are getting enough B vitamins for our everyday needs from our diets. Some people particularly those who drink too much can develop a deficiency of vitamin B1. B1 deficiency does affect brain function. However I don’t recommend supplementation for anyone except where there is evidence of deficiency. This is an amino acid ie a component of protein. Our bodies can make it but we also get a supply from our diets. Clinical trials have shown a beneficial effect of acetyl-l-carnitine in relation to improving memory in the elderly, and treating early-onset Alzheimer’s. However it did not produce beneficial effects in relation to the full range of symptoms seen in dementia. Acetyl-l-carnitine should not be used by people with an under-active thyroid or by anyone who has had a seizure. It also interacts with drugs used to slow blood clotting by making these drugs more powerful. This might result in bruising and/or bleeding. If you are interested in trying this supplement it is essential that you discuss your plans with your doctor first. Evidence from studies of populations that have a high intake of oily fish suggest that having oily fish more than once a week decreases the risk of cognitive impairment and dementia in healthy older adults. Clinical trials where the omega 3 fatty acids found in fish (EPA and DHA) were given as supplements have not proven any significant benefit. However we know that oily fish are an important part of a balanced diet anyway so having two portions of oily fish each week would be perfectly reasonable. If you’re vegetarian or vegan remember that although our bodies can make EPA and DHA from Alpha Linolenic Acid (ALA) the omega 3 fatty acid found in vegetable sources, the conversion rate is slow. This means that only small amounts of EPA and DHA are made. So if you’re vegan you may wish to consider taking a supplement containing EPA and DHA obtained from plant sources. The Mediterranean and DASH diets are recommended to reduce risk of heart disease and stroke and lower blood pressure (hypertension.) The two diets are very similar but the DASH diet is more prescriptive. Both diets emphasise the importance of wholegrains, lots of fruits and vegetables, low fat dairy, lean meat, fish, nuts, seeds, monounsaturated and omega 3 fats. 1. Eat plenty of vegetables from all the colours of the rainbow. Include 1-2 servings of vegetables at 2 meals each day and make sure you include green leafy vegetables most days. I know from years of analyzing people’s diets that most people don’t eat enough green leafy vegetables. If you struggle with this take a look at my post “Eat more vegetables” at the link below for tips and tricks. 2. Eat plenty of fruit. Don’t be afraid of the sugar. We should be focused on cutting back on added sugars rather than the sugar that occurs naturally in foods that supply lots of excellent nutrition like fruit. Make sure you include plenty of berry fruits such as blueberries, strawberries, raspberries and blackberries. Buy frozen berries when these are not in season. 3. Have a handful of nuts most days. There is some evidence for particular benefit from walnuts so make sure you include these along with other omega 3 rich nuts such as hazelnuts, cashews and brazil nuts. 4. Eat more beans and lentils. Add these to dishes that you make with meat, poultry and fish and have them on their own in soups, tagines, curries and casseroles. Try to have them at least 4 times each week. 5. Have wholegrains or pseudograins with every meal. Brown rice, wholemeal pasta, wholemeal bread, whole oats, unsweetened wholegrain breakfast cereals, wholemeal cous cous, quinoa and buckwheat. 6. Include 2 portions of oily fish each week. Salmon, mackerel, fresh tuna, sardines, pilchards, herring, anchovies, carp and whitebait are all examples of oily fish. 7. Eat more poultry ie chicken and turkey and more white fish instead of red meat. You don’t need to cut out red meat but keep it to once or twice a week. 8. Use olive oil as your primary cooking oil and drizzle a little over salads. This is not to say that you should use large amounts of oil. The aim is to have a diet that is low in fats and oils but where you do use oil choose olive. 9. Choose low fat dairy products but have 3 portions of dairy food each day. For example milk and unsweetened yogurt. 10. Limit butter, margarine, cheese, fast food, cakes, pastries, crisps and sweets. These should be reserved for an occasional treat. Try nut butters or mashed avocado as an alternative to butter or margarine. 11. If you drink stick to no more than 14 units a week with at least 2 alcohol-free days. The MIND diet included 1 glass of wine a day but we know that alcohol increases our risk or heart disease, cancer and stroke so taking everything on balance I don’t recommend this. Also it’s essential to be aware that high intakes of alcohol (more than 14 units/week) are associated with a greater risk of developing vascular dementia. I still think it’s worth trying to see how low you can go with alcohol. This entry was posted in Ages and Stages, Longer More Active Life and tagged DASH diet, dementia, healthy ageing, mediterranean diet, MIND diet by Stephanie.fade. Bookmark the permalink.